Dallas Landscape and Irrigation provides quality lawn Sprinkler System Installation, Sprinkler Repair and Backflow Prevention Certification Testing. What is the combination or code? 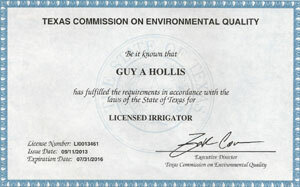 Dallas Landscape and Irrigation Inc.